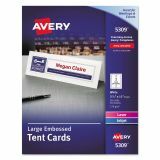 Avery Large Embossed Tent Card, White, 3 1/2 x 11, 1 Card/Sheet, 50/Box - Tent cards are ideal for meetings, presentations, seminars and conferences. 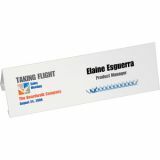 Cards are embossed for a professional appearance and pre-scored for neat folding. 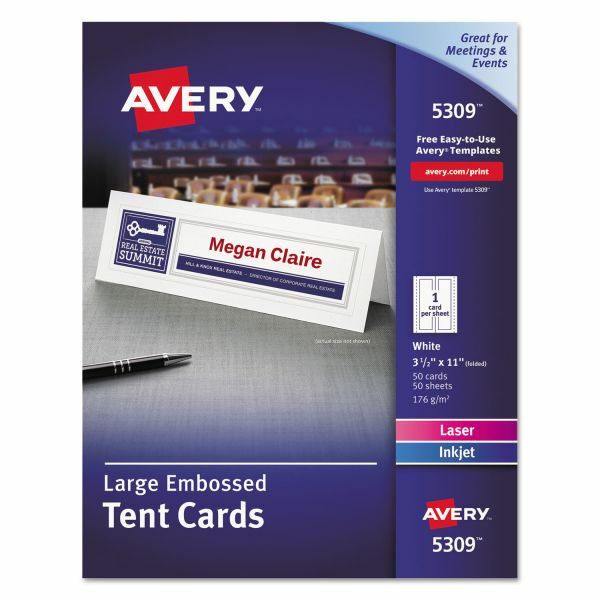 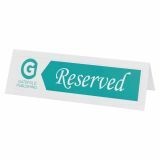 Sheets of tent cards are compatible with laser and inkjet printers. 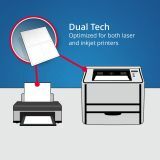 Heavyweight cardstock sheets feed automatically from a paper tray. 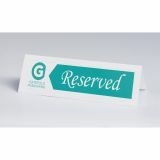 Ultra-fine perforations allow you to separate cards easily and cleanly. 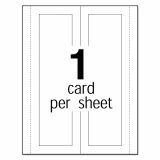 Free, easy-to-use templates for Microsoft Word and other popular software programs are available online.